Los Van Van, a cult band credited with reinventing salsa time and again since their debut in 1969, will be the latest group of Cuban artists to benefit from a quiet resumption of cultural exchanges under current U.S. President Barack Obama. Los Van Van's lyrics have chronicled four decades of Cuban life and history with irony and wit. Grammy-winning Cuban band Los Van Van is celebrating 40 years of salsa revolution with a long-awaited return to the United States next month. Often called the 'Rolling Stones of salsa', the group will perform in Key West, Florida on January 28, ending a long absence from the United States caused by tense U.S.-Cuban relations during the administration of President George W. Bush. Well-known Cuban musicians are being granted visas to perform at U.S. venues, a sign that Obama's administration is promoting cultural contacts as part of a strategy of warmer "people to people" ties with the Communist-run Island. Los Van Van's Key West show prefaces a 70-concert U.S. tour starting in April. 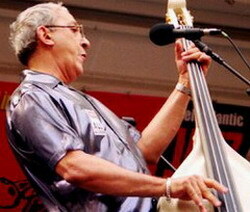 Band leader and bassist Juan Formell hopes the tour will exorcise memories of one of the group's last U.S. appearances -- a 1999 show in Miami where U.S. anti-riot police had to keep angry Cuban exile protesters from harassing concert-goers. Miami is the center of the Cuban exile community in the United States. But Formell, 67, says that hostility against artists from the island has eased. "I was in Miami recently and nobody treated me poorly. On the contrary, people wanted to have pictures taken with me, they asked for autographs," he said in a recent interview with Reuters. "Miami has changed a lot ... there is a new, younger generation that thinks differently," said the grey-haired, bespectacled bandleader whom some Cubans call "Saint Juan". Formell has reshaped the traditional sound of salsa by adding electric guitars, synthesizers and violins to Los Van Van. He went further by mixing son, jazz, afro rhythms and even a bit of The Beatles to create what is called "songo," Cuba's version of salsa. "We have had lots of detractors. They said we were not doing Cuban music. But time went on and we managed to win people over," he said. Los Van Van's lyrics have chronicled four decades of Cuban life and history with irony and wit. But the secret to remaining famous for decades, Formell says, is to write music that makes people dance. "I realized people didn't show gratitude by applauding but by dancing." A new documentary film is celebrating Los Van Van's anniversary. They formed a decade after Fidel Castro's 1959 revolution, at a time when Cuba was at the height of its socialist euphoria. "vanvanero" ( Van Van follower). His documentary follows Los Van Van performing across Cuba where they are adored by dancers of all ages, races and social backgrounds. The recent premier of Padron's film "Eso que anda" ("The thing that moves") brought together several generations of musicians who starred in the band over four decades. Weakened by diabetes and years on the road performing, Formell continues to play, but is gradually giving way to a new batch of musicians led by his son Samuel, a drummer and current music director of Los Van Van. But it is 'Saint Juan''s distinctive electrifying beat that makes Los Van Van recognizable from the first chord and catapults 'salseros' onto the dance floor. "I keep the sound in my hands," Formell said.